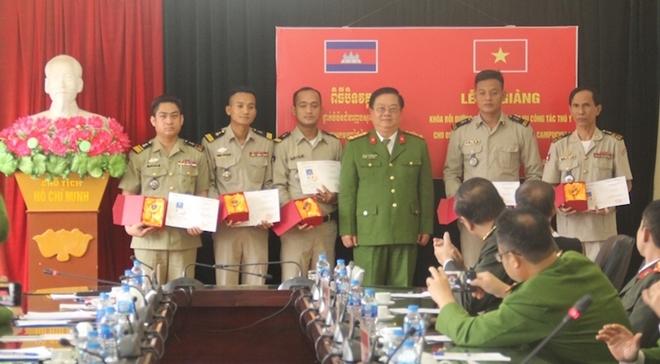 The Animal Training Center under the Mobile Police Command, the Vietnamese Ministry of Public Security (MPS), on February 15, held the Closing Ceremony of a Veterinary Medicine Course for five officers of the Cambodian Ministry of Interior. 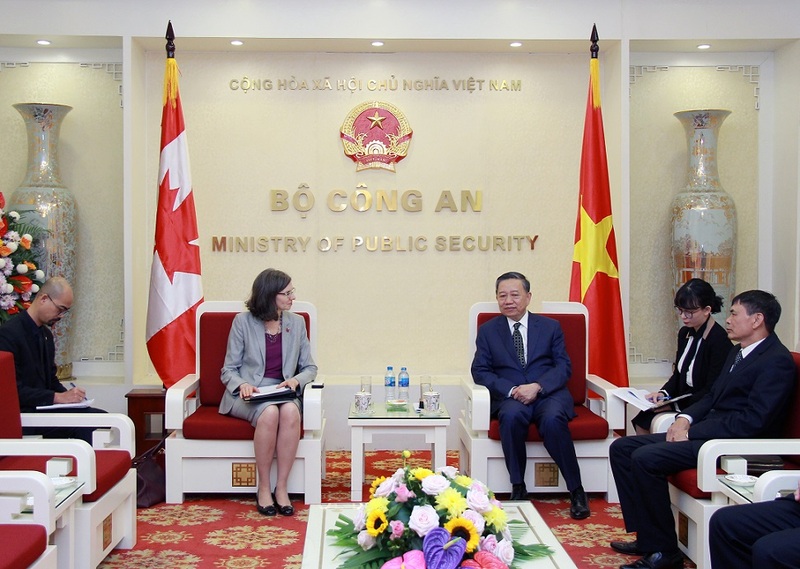 General To Lam, Minister of Public Security (MPS), on January 29, received Ms. Deborah Paul, newly-appointed Canadian Ambassador to Vietnam. 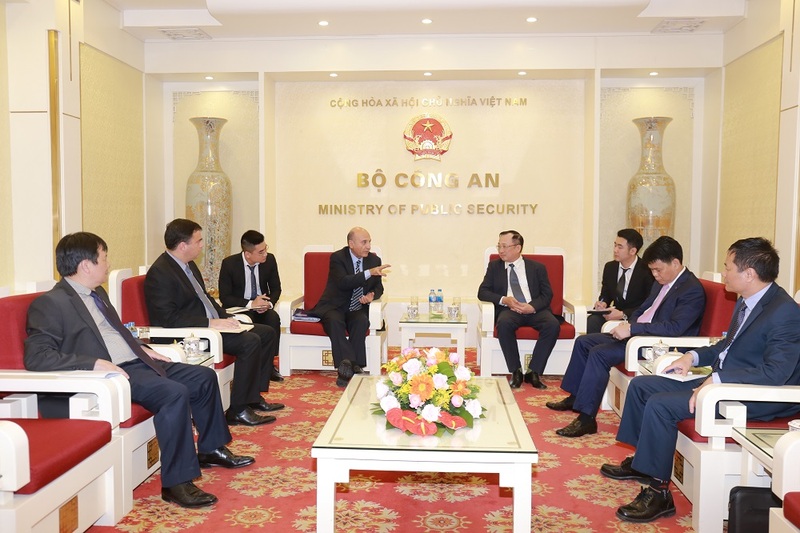 General To Lam, Minister of Public Security on January 29 received and had talks with visiting Prosecutor General Moon Moo-il of the Supreme Prosecutors’ Office of the Republic of Korea (RoK) and his entourage. 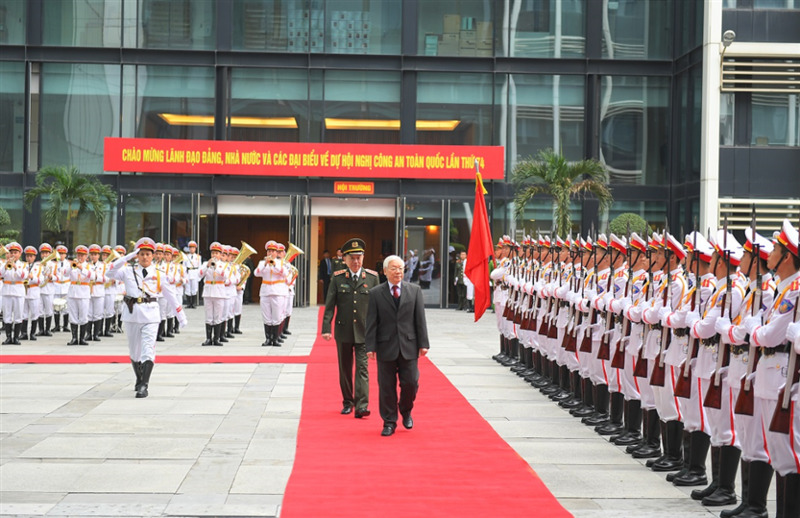 Senior Lieutenant General To Lam, Minister of Public Security (MPS) of Vietnam, on January 22, received a high-ranking delegation led by Mr. Eimutis Misiunas, Minister of the Interior of Lithuania during his working visit to Vietnam. 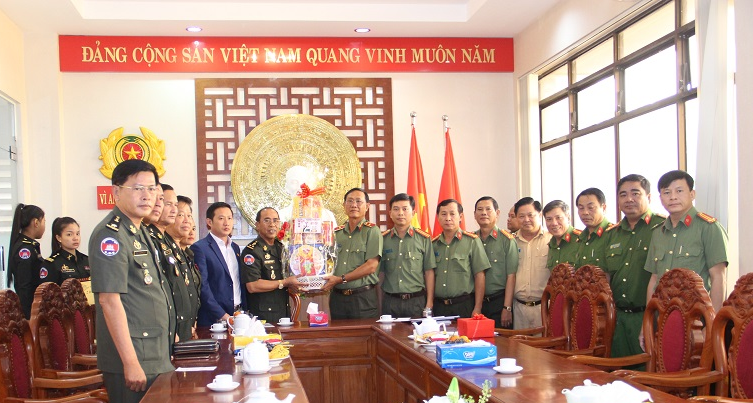 A delegation from the Cambodian Royal Army’s Guard High Command recently paid a visit to the Provincial Police of An Giang on the occasion of the Lunar New Year festival (Tet). 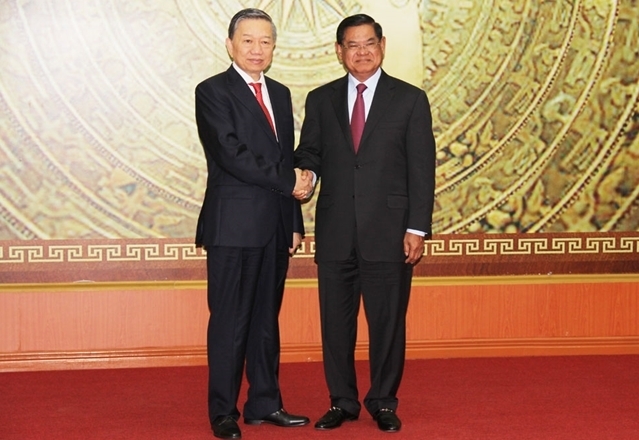 The Cambodian delegation was led by General Dieng Sarun, Vice Commander of the Cambodian Royal Army’s Guard High Command. 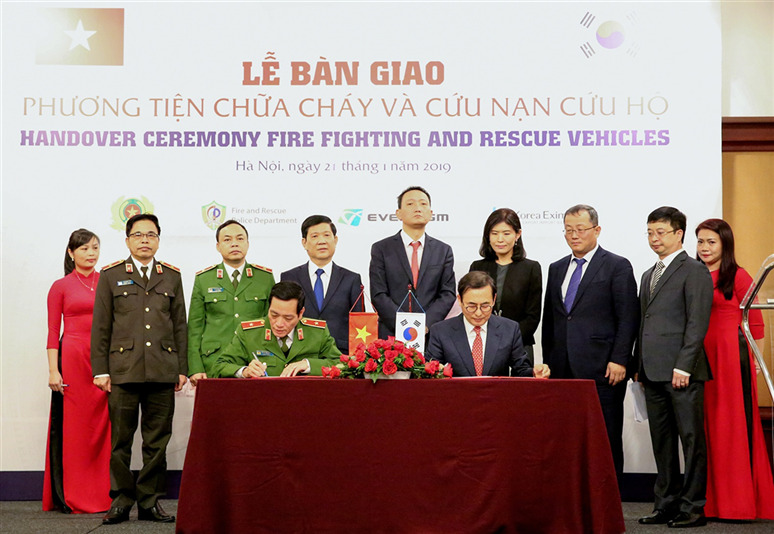 A ceremony to hand over fire fighting and rescue equipment between the Fire Prevention, Fighting and Rescue Police Department of the Vietnamese Ministry of Public Security (MPS), and Everdigm Group of Korea was organized on January 21. 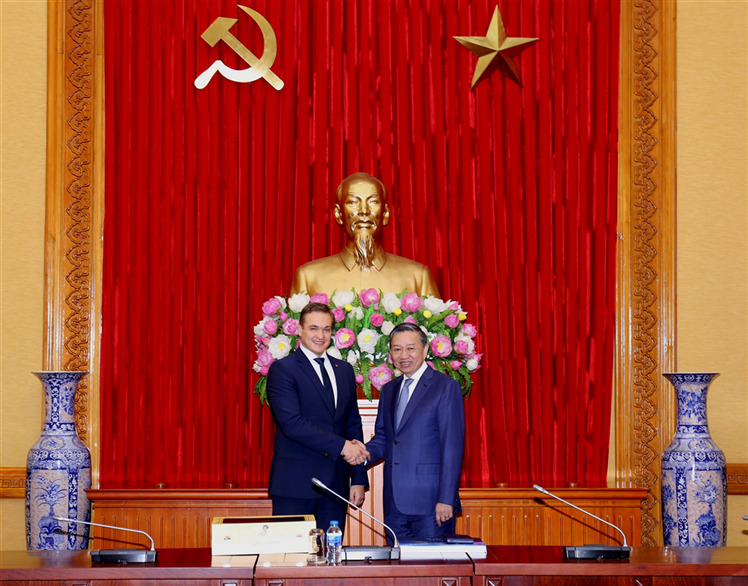 The fire fighting and rescue equipment was under the project "Investment in equipment and facilities and capacity building for the Vietnamese Fire Police Force" with the use of preferential loans of the Korean Government. 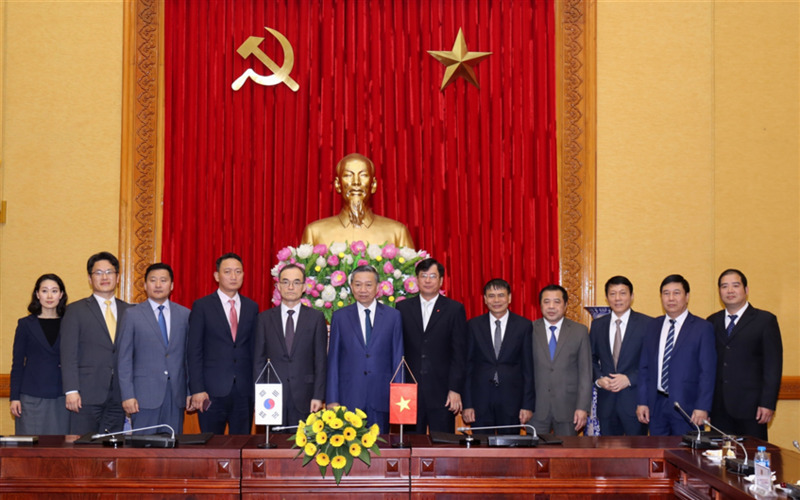 The Ministry of Public Security (MPS) of Vietnam on January 11 held talks and signed the 2019 Cooperation Plan with the Ministry of Interior of Cambodia. 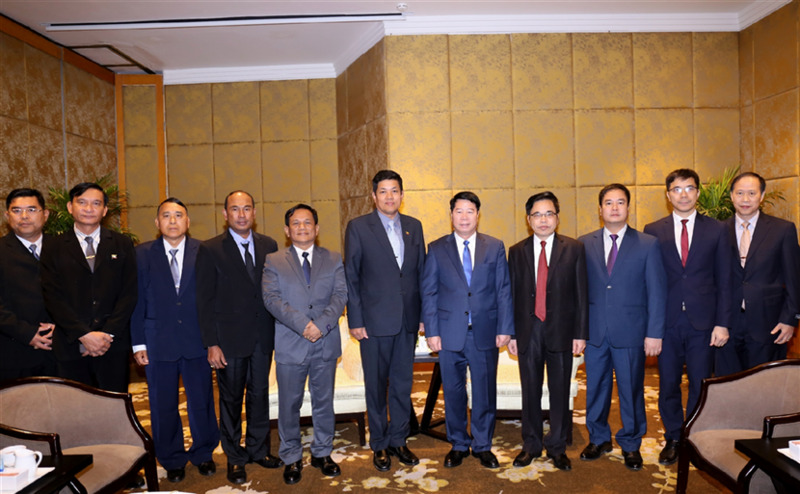 Senior Lieutenant General Bui Van Nam, Deputy Minister of Public Security of Vietnam, on January 8, received a delegation of the Myanmar Ministry of Home Affairs led by Mr. Zaw Khin Aung, Police Commander of Shan State. 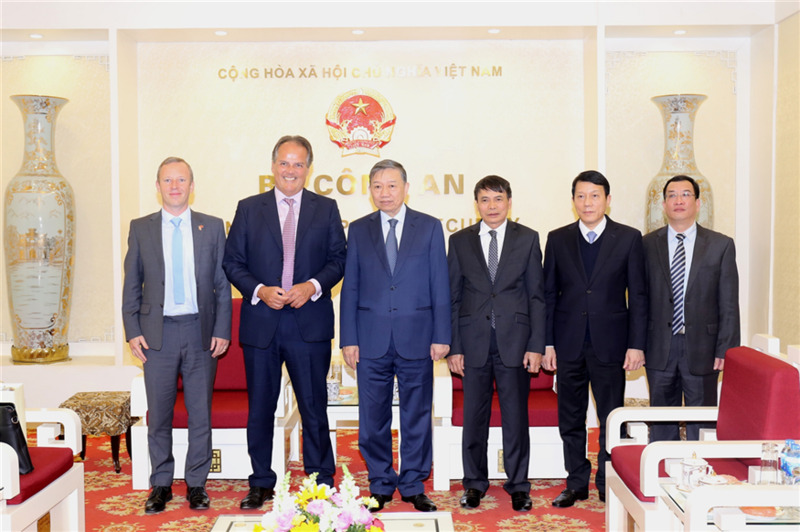 Senior Lieutenant General To Lam, Minister of Public Security of Vietnam, on January 2, received Mr. Mark Field, Minister of State at the Foreign Office of the United Kingdom (UK) on his working visit in Vietnam.